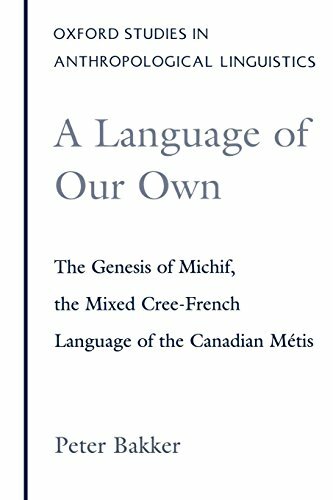 The Michif language -- spoken by descendants of French Canadian fur traders and Cree Indians in western Canada -- is considered an "impossible language" since it uses French for nouns and Cree for verbs, and comprises two different sets of grammatical rules. Bakker uses historical research and fieldwork data to present the first detailed analysis of this language and how it came into being. View More In Biological Sciences.